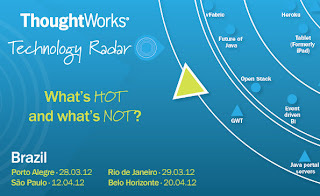 Back in 2008 I would dream about bringing Thoughtworks to Brazil. Dreams come true! Today I am glad to watch 5 remarkable techie colleagues (all from Thoughtworks Brazil) shaping, spreading the word and fostering conversations about languages, technologies, tools and platforms. The Thoughtworks Tech Radar road show (now in Brazil!) starring Ronaldo Ferraz, Rodrigo Kochenburger, Marco Valtas, Carlos Villela and Adriano Bonat. In home decorating, red color is normally used as an accent. Next time you are considering of drawing Chinese Dress people's consideration be certain that red shirt will do the trick.